Christmas is so near right? 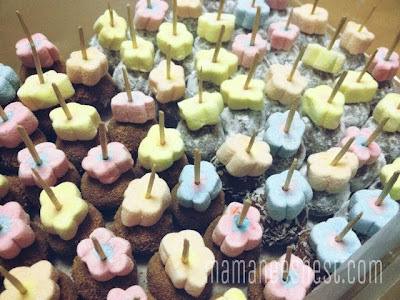 And if you are like me wanting to have quick desserts available to serve or even sell this Christmas season then Graham Balls are your quick fix. One of my readers Jheng Esguerra, messaged me asking if I could post how to make these quick, easy dessert balls. Just in time since I had just received a gift pack from Fly Ace Corporation with a can of Jolly Cow Condensada from our Mommy Bloggers Philippines Halloween Party. 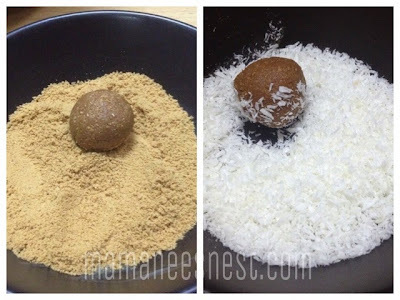 Graham Balls just need 2 main ingredients and it's your choice of filling and coating. Usually filling is a mini marshmallow or M&M's and the coating would powdered sugar or sprinkles. 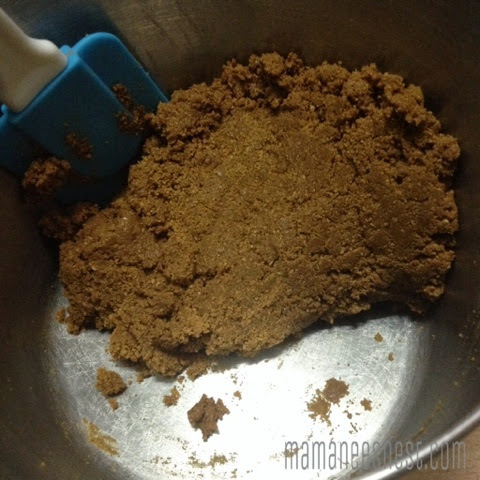 Powdered Sugar or Desiccated coconut for coating. 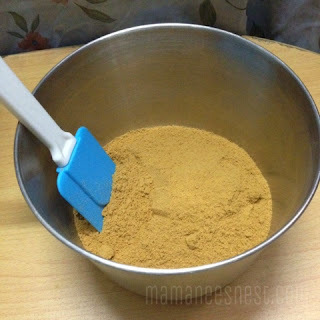 In a bowl, pour a pack of crushed Graham Crackers, you can set aside 3 tablespoons if you want to use it as coating too. 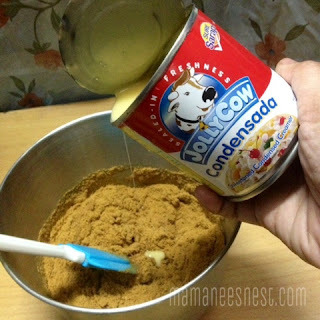 Pour in half a can of JOLLY COW Condensada. You can adjust how much condensada you wish to add for the consistency of your Graham Balls, if you add more, this will make your mixture softer. 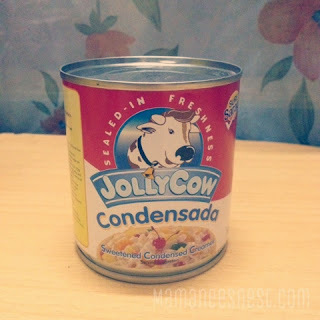 You might wonder why I am using JOLLY COW condensada, well one thing I can tell you is that it's affordable, and also a trusted brand. 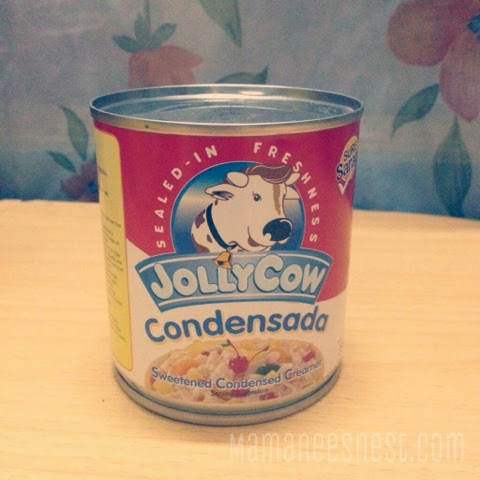 JOLLY COW condensada is exclusively distributed by Fly Ace Corporation. Mix the crushed Graham Crackers and JOLLY COW condensada together until it feels like dough. 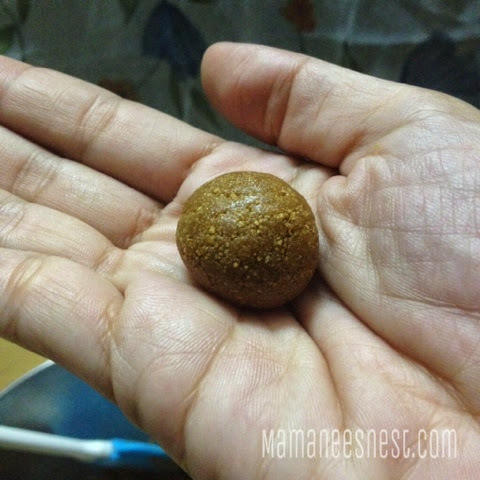 Then you can start rolling your mixture into balls, it's your choice on what size you want the balls to be. I made mine bite size which yielded 33 balls. Roll the ball in powdered sugar, desiccated coconut or any other toppings tha you wish to use. 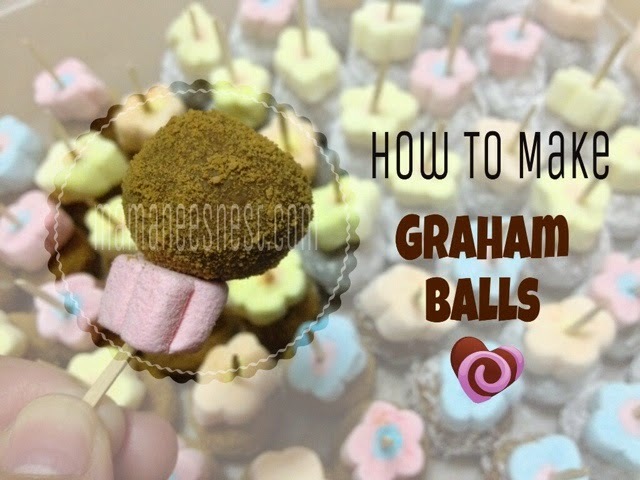 You can also freeze the Graham Balls for an hour and dip them into melted chocolate! For a colorful effect I decided to place a marshmallow on top. Voila! A quick and easy way to make a party dessert. Quick, affordable and delicious! 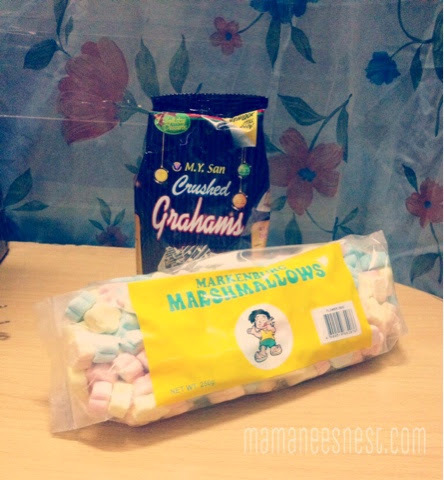 Do you have any quick and affordable dessert ideas? I would love to know in the comments below. Disclaimer: Jolly Cow and Fly Ace Corporation served as a main sponsor during the Mommy Bloggers Philippines Halloween Party and provided gift packs which included JOLLY COW Condensada. Hi Lally! Thank you for dropping by! Would love to see your output! Yummy! And so easy to make!